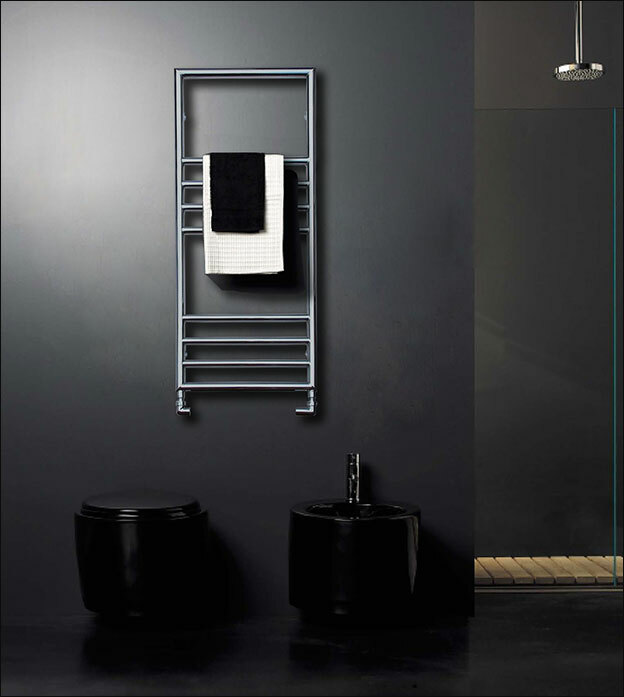 This stylish heated towel rail in a lovely classically contemporary design allows smart styling within the bathing area. 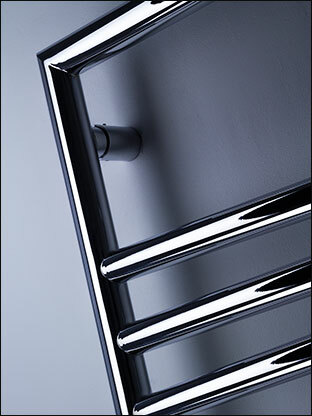 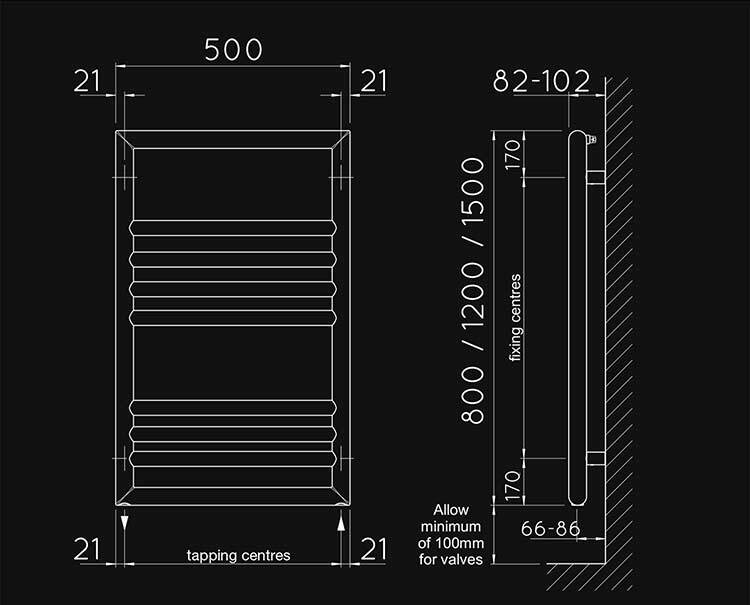 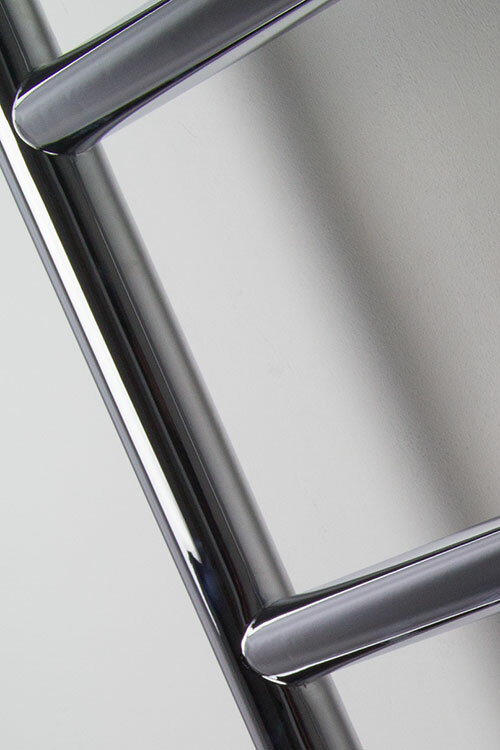 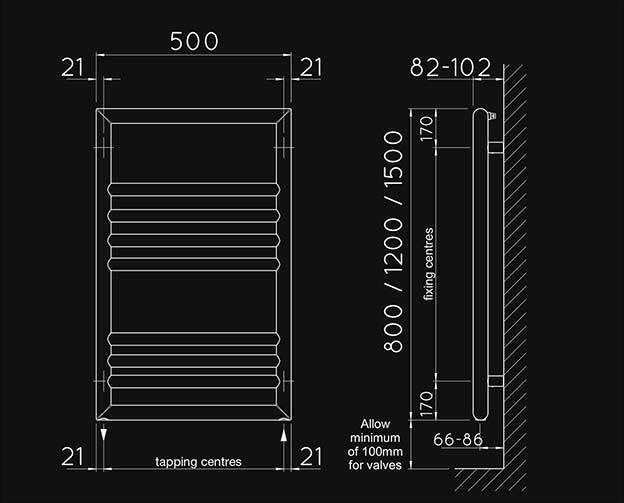 Each multi-rail towel radiator is made in stainless steel allowing quality and longevity. 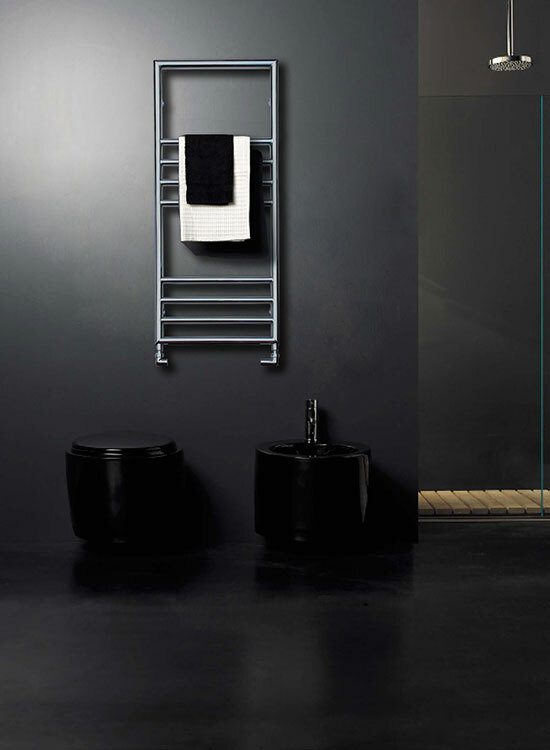 With its many horizontal heated bars giving good overall heat outputs plus wide open spacing between the bars makes this bathroom radiator ideal for easy hanging of towels. 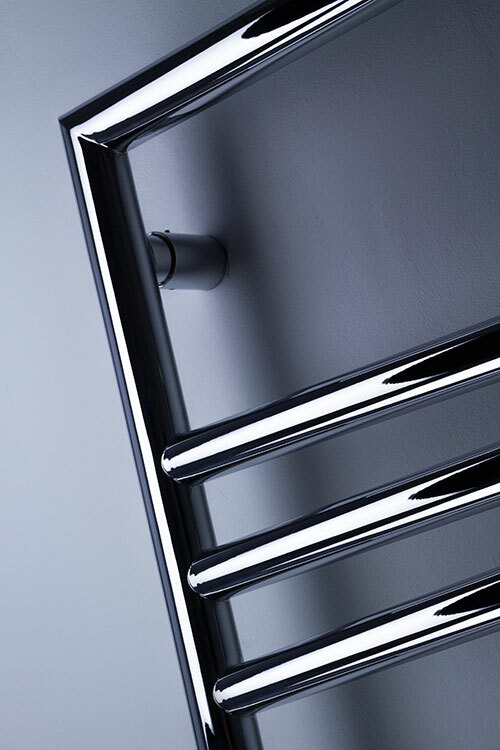 Alternative towel rail finishes are available in polished gold, nickel, copper and black chrome. 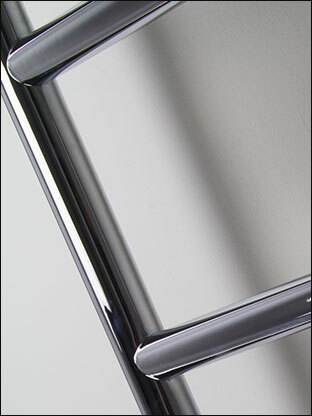 • Rail shown with corner valves.